With one of the leading waste practices in the nation, Van Ness Feldman calls upon a depth of experience and broad abilities to assist clients in meeting critical environmental challenges associated with Superfund cleanups, natural resource damages claims, private cost recovery actions, brownfields projects, hazardous and solid waste materials management, electronic waste (e-waste), facility siting, permitting, and expansion, risk mitigation, environmental management systems, operational compliance, and environmental planning in corporate, lending, and real property transactions. For over 40 years, the firm has handled high-profile and ground-breaking disputes under most of the nation’s principal environmental laws, including the Comprehensive Environmental Response, Compensation and Liability Act (CERCLA), the Resource Conservation and Recovery Act (RCRA), the Toxic Substances Control Act (TSCA), the Model Toxic Control Act (MTCA), the Clean Air Act, and the Clean Water Act. The firm counsels leading industrial and manufacturing companies, as well as major industry coalitions and associations, in significant regulatory and environmental liability issues, including challenges to proposed regulations, preparation of complex permit applications, and prosecution of appeals from adverse regulatory decisions. Van Ness Feldman’s attorneys have been at the forefront of electronic waste recycling rules at the both the national and state levels. After the passage of Washington’s electronic waste recycling law, the firm has actively followed the Department of Ecology’s rulemaking efforts and assessed impacts the law has on regulated entities. Based on the firm’s long-standing hazardous waste practice, Van Ness Feldman’s attorneys are well-versed in existing regulatory frameworks governing solid waste management and have the requisite experience counseling regulated entities on the physical processes necessary to comply with new regulations. Van Ness Feldman is an effective advocate before agencies and in the courtroom, whether clients face a difficult enforcement action or potentially costly cleanup liability. The firm is an industry leader representing clients in private cost recovery actions, enforcement proceedings brought by EPA or state agencies, and in review proceedings concerning conditions or denials of permits based on environmental or ecological requirements. These representations have resulted in numerous settlements and voluntary cleanup agreements, both with private parties and with governmental entities, and have greatly reduced both costs and uncertainty for clients. Although the firm has enjoyed considerable success in resolving conflicts informally and collegially, Van Ness Feldman’s hazardous waste team does not hesitate to recommend more adversarial approaches. The firm’s litigation team includes former enforcement officials of the agency, some of whom were instrumental in developing key provisions of EPA’s settlement policy. Van Ness Feldman attorneys have handled numerous environmental litigations, including judicial challenges to major EPA regulations, which have resulted in the government’s agreement to proposed revised regulations (that were ultimately enacted). 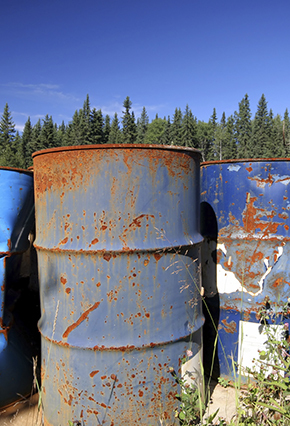 Van Ness Feldman has vast experience representing clients in matters arising under both federal and state hazardous waste laws, including investigations and cleanups under CERCLA and state-specific statutes such as Washington State’s MTCA; and regulatory permitting and compliance under RCRA. The firm is also regarded for minimizing clients minimize their financial liabilities for older facilities that have been sold or are no longer in productive use. CERCLA Actions. The firm is frequently involved in negotiations regarding the scope and timing of cleanup, the propriety of governmental requests and activities, the terms and conditions of settlement agreements and consent decrees, and the reasonable and fair allocation of cleanup costs. Van Ness Feldman attorneys have been principal participants on steering committees that have negotiated novel and groundbreaking settlement agreements, including most recently a work take-over in which the environmental contractor hired by the settling parties agreed to become a party to the consent decree; the settling parties purchased an insurance policy on which the Environmental Protection Agency (EPA) was an additional insured; and EPA agreed to take any future cleanup enforcement action against the contractor, in the first instance, and to accept the insurance policy as financial assurance for the cleanup. RCRA Permitting and Compliance. Van Ness Feldman has unparalleled knowledge of the complex regulations governing the cradle-to-grave management of hazardous wastes. In addition to counseling numerous clients regarding their responsibilities as generators of such materials, members of the firm have represented owners and operators of hazardous waste treatment, storage, and disposal facilities with respect to their ongoing permitting, compliance, and corrective action obligations. These facilities include a commercial hazardous waste incinerator and numerous waste management and recycling facilities owned and operated by a major national hazardous waste management company. Mitigation and “Brownfields” Matters. Many clients of the firm have industrial and manufacturing sites that have been vacated or abandoned because of business consolidation or relocation to better markets. Van Ness Feldman works to find innovative solutions for minimizing the financial liabilities associated with these sites and to create value through use of voluntary cleanups, negotiation of prospective purchaser agreements, “brownfields” site initiatives, joint community development, and other mitigation opportunities. Drawing on the firm’s broad-based understanding of regulation, policy, complex transactions, and enforcement, Van Ness Feldman is able to provide its clients with assistance on numerous matters related to environmental compliance. Environmental Management Systems. Van Ness Feldman has extensive experience reviewing the scope and structure of corporate environmental programs, and the assignment of environmental responsibilities within each organizational unit, in order to ensure that clients have effective and responsive environmental management systems in place. The firm has worked with clients to develop clear and well-defined environmental policies, and have designed assessment programs that enable senior management to meet their corporate responsibilities and to achieve corporate environmental goals. Regulatory Compliance. Clients rely upon Van Ness Feldman for the firm’s experience and practical strategies for meeting the complex requirements of environmental laws and regulations. Attorneys assist clients with the important task of ensuring their ongoing compliance with numerous environmental requirements – including obtaining and renewing necessary permits and approvals; identifying potential problems; and applying creative solutions to existing enforcement concerns. The firm has experience advising clients on such related issues as audit privilege and investigations of noncompliance, and working with clients to respond to governmental inquiries, or notices of violation, in ways that will avoid costly litigation and unfavorable publicity. Commercial Transactions. Van Ness Feldman has broad experience managing environmental issues in real property and commercial business transactions. Projects such as metal scrap yards, abandoned urban industrial facilities, landfills, hazardous waste management facilities, petroleum and chemical refineries, and other heavy industrial manufacturing facilities may involve evaluation of potential liabilities and regulatory compliance, and negotiation of key environmental terms of the transaction. Careful attention to representations, warranties, and indemnity provisions benefits clients in later cleanup disputes between purchasers and sellers of contaminated industrial property. In numerous cases following a transaction closing, clients request that the firm continue supervision of significant environmental concerns, including permit compliance, remedial actions and development of environmental management systems.